Unpleasant odors from cigarette smoking, cooking, mold or fungal growth, or dead and decomposing animals can be incredibly difficult for a homeowner or business owner to remove. These odors are often attached to various surfaces in the room, and pinpointing where the odors linger and identifying the best method to remove the odor can be difficult without the proper tools or training. At WET, we provide odor removal services for both residential and commercial buildings, as well as vehicles. Our odor removal technicians have extensive training in the removal of a variety of odors, and we’ll work with you to identify and eliminate stubborn smells in your home, business, or car. Cigarette smoke odor is one of the most common smells people want to get rid of, and it can be one of the most difficult to thoroughly eliminate. Cigarette smoke contains tiny particles that attach to walls, travels through ventilation systems, get embedded in carpets, furniture and draperies, and affects just about everything it comes into contact with. Completely removing cigarette smoke is difficult, but with the help of a trained professional from WET, it can be possible. Our technicians will evaluate the problem and develop a comprehensive plan for odor removal. If your home, business or car suffers from cigarette smoke odor, contact WET for a consultation today. Anyone who has ever smelled a dead and decomposing animal understands how strong and nauseating the odor can be. It’s also not something anyone ever wants to have to deal with! When you call WET, our technicians will address the source of the odor and will use odor removal techniques to get rid of the smell for good. 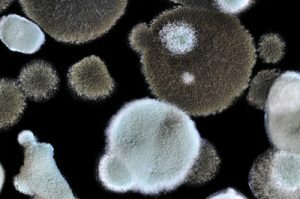 Mold, mildew and fungi growth have a distinctive odor, and can affect areas with high humidity like locker rooms, bathrooms, swimming pool areas, and more. Eliminating mold odor requires the removal of any mold growth. At WET, we provide mold removal and mold odor removal services. Mold removal should be handled by a professional who can isolate the source of the mold and remove it without sending mold spores airborne, reducing the risk of mold growing in another area of your property after cleanup is complete. Whether you are dealing with odors related to cigarette smoke, dead animals, or mold, the professionals at WET can help identify and eliminate the source of the odor and remove it completely. Call us today for a consultation.